Over sixty years ago, during the heyday of Hollywood, a young Hollywood movie Producer/Director named Stanley Kramer felt stifled by studio bosses. He wanted to make his “own” movies. He needed sound stages – and a financial backer. A young Hollywood Art Director/Set Designer offered a possible partial solution. Bruce Ariss did not know much about money. Indeed, in much later years on the Monterey Peninsula, he sometimes referred to himself as “a local treasure with no treasure.” However, he did know about Monterey. He knew that the local economy was beginning to collapse. And, he knew why! He also told Stanley Kramer what was happening. The sardines had vanished from the Sardine Capitol of the World. Huge, once bustling, cannery buildings were becoming vacant. Kramer decided to pay a visit to this Ocean View Avenue area of Monterey’s coastline that John Steinbeck had dubbed Cannery Row. At the urging of Ariss, he came to look at buildings on “The Row” as potential sound stages. Several local people heard about this “Out of Town Jasper” and decided to keep him out of town. They got together and start buying those buildings for themselves. The modern day Cannery Row Tourist Industry began as the answer to the ensuing dilemma: “…what do we do with these old Cannery buildings now that we own them?” Someone with some genuine fishing “artifacts” suggested a shop. Others had other stuff – and started other shops. A wife had some recipes for delicious dishes. A little restaurant sounded nice. Other wives and families thought so too. Soon, a new economic base was begun: tourism – which would soon dwarf the sardine industry which it replaced. Ironically, the “locals” who bought the Cannery Row buildings, to keep Kramer out, were unaware that the young movie maker had already decided NOT to buy them. He would need to see daily results of filming. The Hollywood film labs were far away; and air transportation from Monterey was unreliable. Cannery Row would not work! Stanley Kramer was, however, far from finished with his fishing around the Monterey Bay. He had not found the sound stages he wanted; but, he did find the thing he needed even more – The Money! Yes, it was here that the man who was to make some of the greatest movies of all time, found his first financial backer. Now, everyone agreed that motion pictures were a lousy investment. So, when this young director came calling – Church thought it sounded like a terrific idea. Here was a sure fire way to lose a lot of money real fast. Besides, his accountant had already told him of additional tax breaks for losing the money in things like movies. And so, with visions of majestic money losses in mind, Church and Kramer found a young actor named Kirk Douglas and they made a movie. It was called “The Champion.” However, it failed to perform according to the game plan. Instead of losing, it made a whole Lot of Money! Undaunted, they made another movie – to lose money, of course! It featured this new fellow named “Brando” in his first starring role. Bruce Church’s daughter, Joanne, even got to write part of “The Men.” It, unfortunately, made a bunch of Money too! Oh well! Then, they made “Cyrano de Bergerac” starring Jose Ferrer – which won a ton of awards. And, of course – it made A Lot of Money!! 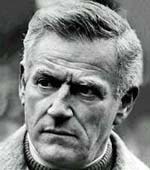 It was at about this time that Bruce Church went to Stanley Kramer and said – “This just isn’t working out!” Church told Kramer, “I’m going to have to get out of the movie business!” But he relented & decided to give it one more try. This movie, it was agreed, just was a simple story, down and dirty, black and white “B” Grade Western “quickie.” It was called “High Noon.” (You know, the one that got Gary Cooper the Academy Award, won Best Picture, Best Director….) That was also the last movie backed by Bruce Church. But that’s not all. The “reluctant success” then ventured into the young TV industry of the 1950’s – to lose money, of course. One thing led to another. A popular Hollywood couple also got involved. You may have heard of them: Lucille Ball & Desi Arnaz. That Bruce Church venture became known as “Desilu.” Guess you could say – he couldn’t lose for winning! As for the Main business of Agriculture – Bruce Church Company heirs continue to influence the nation and the world; and remain a major factor in John Steinbeck’s Valley of the World. 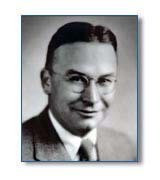 Just as Bruce Church was a pioneer in creating the modern lettuce business, his children and grand children were pioneers in the pre-packaged salad industry, creating a company called Fresh Express which led the way for what is now a staple item in the stores. It’s former CEO (Bruce Church’s grandson, Steve Taylor) once graced the cover of Fortune Magazine. Several years ago, Fresh Express was sold – for hundreds of millions of dollars. But the extended family remains very much involved as leaders in the $3 + Billion Salinas Valley agriculture industry. The family also donates countless leadership hours and millions of dollars to community causes and activities. And, regarding involvement with motion pictures: They find that seeing just movies in the theater works out fine.